According to the U.S. Department of Agriculture’s own reports, it has killed over 34 million animals in the last decade alone. Most of those animals were native, wild animals. The rest were accidental killings of domesticated animals. In 2017 alone, the agency killed more than 1.3 million native, wild animals. 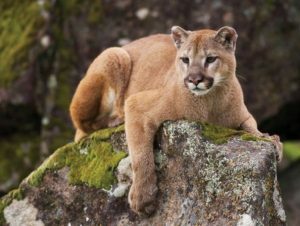 While livestock protection is its primary charge, Wildlife Services also “kills animals for eating flowers and pet food, digging in gardens, frightening people, and other concerns that could easily be addressed using nonviolent methods,” according to wildlife advocacy group Predator Defense. “That killing is carried out with a vast arsenal of rifles, shotguns, small planes, helicopters, snowmobiles, leg-hold traps, neck snares and sodium cyanide poison,” writes Tom Knudson, a reporter who’s been investigating the program for years. The environmental organization is suing the federal government over its Wildlife Services program.